Shape into 28 (1-inch) balls. 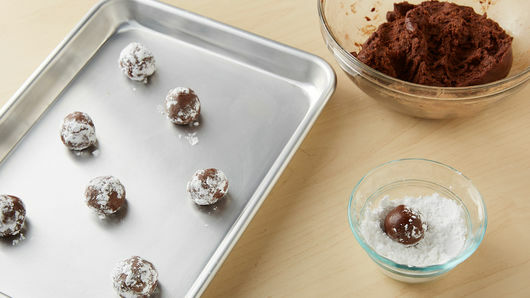 Roll each ball in 1/4 cup of the powdered sugar (reserve remaining powdered sugar). Place balls 2 inches apart on ungreased cookie sheets. Bake 9 to 12 minutes or until tops are cracked and edges are set. Cool 2 minutes; remove from cookie sheet to cooling racks. 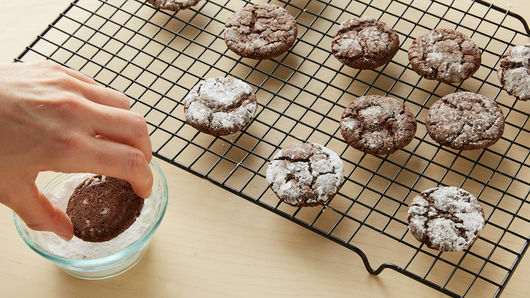 Dip tops of each cookie in remaining 2 tablespoons powdered sugar. Cool completely, about 20 minutes. 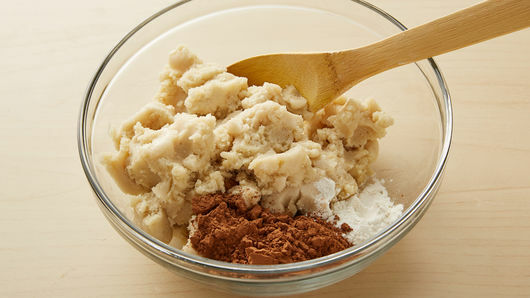 Freeze cookies in airtight container up to 2 weeks. 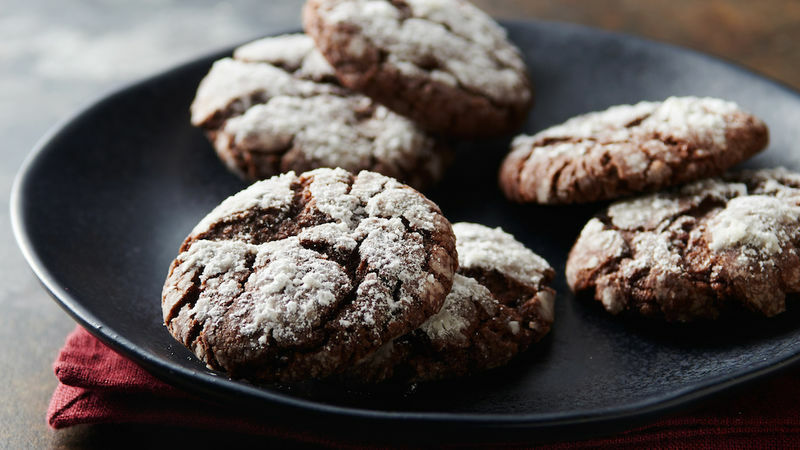 Get the kids to help make these yummy cookies. They’ll love to shape the cookies into balls.